"Be scared of us, government". Graffiti in downtown Cairo. 28 January 2012. Rana Magdy. All rights reserved.The fight for women’s rights is by no means new to Egypt, especially when it comes to the continuous battle for political inclusion. Women’s rights movements throughout the twentieth century attest to this, however, history has shown that it has been and still is a treacherous fight. A common misconception about the prevalence of sexual discrimination in the Middle East is the notion of 'Islamic misogyny'. This is given as the reason for women’s second-class citizenship. However, it undermines the feminist movement in Egypt at large and provides a superficial explanation for women’s fight as human beings for their basic rights. It situates women in a binary where their freedom can only be attained in non-Islamic nations as they are passive and oppressed victims of their backwards societies, which is an Orientalist stereotype drawing on the colonial view of Arab and Muslim women. The notion that education would provide a way out of this 'backwardness' obscures the far-reaching and deeply enshrined effects of patriarchy. Patriarchy is by no means unique to Muslim-majority societies, and patriarchal authoritarian states do not only exist in the Middle East. In the early twentieth century, women were vocal against colonial practices. During the 1919 revolution they were active participants, alongside men, in the demands for the liberation of Egypt. However, even when political leadership was granted to their male comrades in 1922, women were not granted political rights1. This resulted in them resorting to informal networks of activism, such as Huda Sha’rawi’s founding of the Egyptian Feminist Union in 1923, Zaynab al-Ghazali’s founding of the Muslim Women’s Society in 1936, or Doria Shafiq’s founding of the Daughter’s of the Nile Union (Bint al-Nil) in 1948. However, the majority of these organisations were co-opted during Gamal Abdel Nasser’s rule, when legislation was passed to include all civil society organisations under state control, a period often referred to as ‘State-feminism’, which slightly changed during President Sadat’s reign of power due to his open-door economic policies2. The biggest achievement during Abdel Nasser’s reign of power was that women were granted the right to vote in 1956, and during Sadat’s reign of power women’s demands for economic rights were, to a certain degree, met. A change that did occur during Mubarak’s reign of power was that an increasing number of women’s rights organisation started to emerge. However, the focus was on economic growth, thus women’s “empowerment” and their economic rights were at the top of a development-focused agenda, and the organisations were closely linked to state officials. Moreover, steps were taken towards what Abu-Lughod termed the “governmentalization of women’s rights”, with the establishment of the National Council for Women (NCW) in the year 2000, for which the first lady, Suzanne Mubarak, was given the title of president. The establishment of the NCW has been seen as a positive step towards the attainment of increased rights for women in the private sphere, as advances were made with regard to the Personal Status Laws. However, the drawback is that they became infamousl as the “Suzanne Mubarak laws” . As such, these laws were not passed due to popular support, but due to the NCW’s close links to the regime and religious establishments. The NCW appropriated women’s activism and work by speaking on behalf of all Egyptian women. However, a break from the traditional development-based focus on women’s economic empowerment started to take shape, when political movements, such as the Kifaya (Enough) Movement, began to gain traction in the public sphere. Moreover, an increasing number of worker’s strikes were taking place between 2006-07, where it is widely acknowledged that women were at the forefront. During this period, women were targeted and harassed for practicing their political wills and their right to the city. In May 2005, for example, women demonstrators were targets of sexual violence by plain-clothes men as the police stood by. On this occasion, one of the women protestors reported that a police officer had told her that the attack was to “stop you from taking part in demonstrations again”. Situations like these can be used as indications of a significant shift in Egyptian feminist discourse, whereby classic authoritarian and patriarchal structures were beginning to be challenged. From then on, different socio-political forces, like Islamists, leftists, feminists and liberals joined forces and started to contest the brutality of the regime. As a result, prior to 2011, women’s rights organisations occupied with the fight against sexual harassment, such as Harassmap, had started to emerge in Egypt. Already existing organisations, such as the El-Nadeem Center for Rehabilitation of Victims of Violence and Torture (or Al-Nadeem), Nazra and the Egyptian Initiative for Personal Rights (or EIPR) were addressing the now widespread phenomenon of the use of sexual violence against female demonstrators. After the removal of Hosni Mubarak, when mass demonstrations were met with increased gender-based violence, intervention teams started to emerge in 2012, such as Tahrir Bodyguards and Operation Anti-Sexual Harassment (or OpAnti-SH). These intervention teams provide rescue services on the ground during demonstrations. So they can be considered less developmental and more political, as they constituted groups of activists who volunteered their time, especially during days of demonstrations, to provide safe spaces for women to be active politically in the public sphere. As of today, the struggle for women’s rights is commonly conceived as attempts to westernise Egyptian society and a threat to traditional family values. This has added a further burden to women’s rights organisations, which not only have to change this belief but also have to detach the understanding of women’s rights from that of the state (primarily represented by the NCW). Since 2011, there have been attempts to radically transform the NCW, yet both have failed. On one side of the spectrum, the political party of the Muslim Brotherhood, for example, attempted to replace the women’s rights agenda with a ‘family agenda’, and on the other side, civil society groups wanted to completely restructure the NCW so that it could be independent. In the end, the Supreme Council of the Armed Forces (or SCAF) restructured it in February 2012 by appointing a former Ambassador who served under Mubarak, Mervat Tallawy, to replace former First Lady, Suzanne Mubarak. Tallawy presided over the council until February 2016 when Maya Morsy was appointed after a decision by Sisi to reshuffle the council’s staff. Thus, this move can be interpreted as the NCW’s usual form of business, remaining the right arm of the state on gender related policies. The backlash the women of Egypt have experienced and the vilification campaigns they have had to endure have proven nothing but their inability to rely on the state to support gender equality and social justice. It has become clear that any transformation to women’s status in society will only be permitted to occur within a framework that will not threaten the regime or the status quo. 'State-feminism' has only diminished the credibility of women activists and limited their future achievements. The recent government-enforced closure of Nazra and the charges brought up against human rights defenders attest to this. The government has gone to every length to silence independent human rights organisations, women’s rights organisations and WHRDs. Mozn Hassan, founder of Nazra, is under investigation and facing prosecution, and has also been banned from travel. Her personal assets as well as Nazra’s have been frozen. Al-Nadeem Center for Rehabilitation of Victims of Violence was forcibly closed and its co-founder, Aida Seif El Dawla, was also banned from travel. The founder of EIPR, Hossam Bahgat, as well as numerous other human rights defenders are also facing charges as well as hacking campaigns. There has been an on-going battle between oppositional forces and the 'deep state'. Women and gender relations have been very much a focal point of counter-revolutionary processes by the 'deep state'. Clear attempts have been made to exclude women from participating in demonstrations. This shift in feminist discourse towards more political rhetoric signifies the interconnectedness of women’s movements with revolutionary processes. Seeing that Egypt has undergone a very successful counter-revolution, which has solidly reinstated the 'deep state', it comes as no surprise that activists and women’s rights defenders are being targeted. As such, the restored power structures only provide a continuum for the further entrenchment of the overarching powers of the patriarchal state and women’s plight with regards to equal rights will only change if these power asymmetries are completely undone. Therefore, although the journey has already started, a lot of work is yet to be done for equality and justice to serve the people of Egypt. 1 Sorbera, L., 2014. 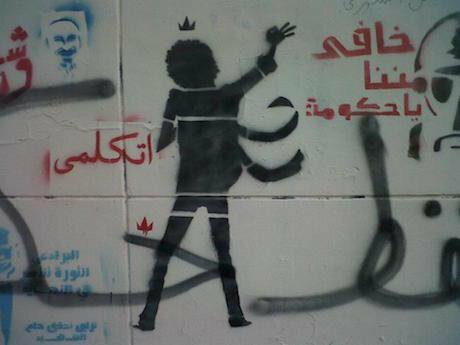 Challenges of thinking feminism and revolution in Egypt between 2011 and 2014. Postcolonial Studies, 17(1), pp.63-75. 2 Al-Ali, N., 2000. Secularism, gender and the state in the Middle East: the Egyptian women's movement, Vol. 14. Cambridge: Cambridge University Press. 3 Sika, N. and Khodary, Y., 2012. One Step Forward, Two Steps Back? Egyptian Women within the Confines of Authoritarianism. Journal of International Women's Studies, 13(5), pp.91-100.